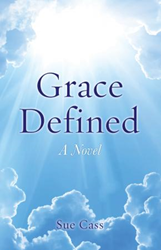 Within the pages of Sue Cass’s new book, Grace Defined, ($16.99, paperback, 9781498471480) readers will be reminded that Christ's grace is offered to all and every individual has the choice of whom to follow; Jesus Christ or Satan. This fictional story takes place after World War 2. Many people were left struggling, some destitute and not knowing where to turn. The Carmichael family made it through the war but when the plants close they find themselves having to make difficult decisions. Bill Carmichael, his wife Joan, and three children decided to move to California but find themselves stranded during a heavy snowstorm in Colorado. Instead of turning to the Lord, Bill turns to alcohol. His atheist views clash with his Christian wife and are a harsh reality influencing his children and leaving the door open for the enemy of God. Sue Cass resides in Georgia and by the grace of God has published six books – all inspired by the ultimate Author, Jesus Christ. She has experienced many challenges in her life. Her first husband was an alcoholic and she grew up in an abusive home. She was a non-believer for 49 years. She has faced many spiritual warfare battles and also experienced God's love and grace in so many ways that she believes could add up to writing another entire book. Sue Cass is the founder and CEO of Elah Ministries, Inc. a 501c3 non-profit ministry since 2003. All profits from her books support the ministry. For more information, visit http://www.elahministries.com or e-mail elah501c(at)bellsouth.net. Xulon Press, a division of Salem Media Group, is the world’s largest Christian self-publisher, with more than 15,000 titles published to date. Retailers may order Grace Defined through Ingram Book Company and/or Spring Arbor Book Distributors. The book is available online through xulonpress.com/bookstore, amazon.com, and barnesandnoble.com.